Canada once had a thriving whisky industry with many small distilleries. When the Canadian government heavily increased taxes, in the second half of the 19th century only the large distilleries could survive. They also strictly regulated the production of whisky. Most Canadian whiskies that are currently on the market are blends based on whisky made ​​from corn. 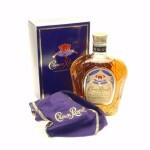 It is allowed to add other liquids up to a maximum of 9,09% to achieve the desired taste. This can be anything, from rum to brandy. 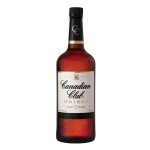 The Canadian Club Whiskey is the renewed edition of the Canadian Club Original Whisky from 1858. .. 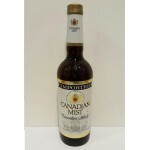 The Canadian Mist is a blend whisky from Canada. 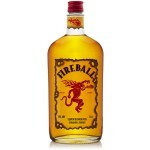 This is an old release from the 80’s bottled at ..
Crown Royal is a royal Canadian whisky which owes it's name to the visit of King George and Queen..
Fireball Cinnamon Whisky is a Canadian whisky with cinnamon. 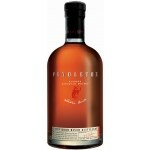 Factually seen it's a whisky liqueur..
Een mooie Canadese blend whisky met een rijping op eikenhouten vaten. Geblend en gebotteld bij de..